In the acknowledgements Amanda Weaver tells us what inspired her to write this book. I remember very well when she first tweeted about the cute boy she saw in that bookstore. A guy becomes a hundred times sexier when you find out he reads. There’s just something about a guy who opens his mind to the new ideas, emotions, and experiences that you find in books. He’s also probably smart. Smart is hot. Ben is a student working in an off campus used bookstore. He’s smart, thoughtful, and a bit nerdy. He loves books. He knows books. He is way into books. He is hot and adorably smooshable. I love him. I want him. We are MFEO. Hannah is a Freshman Honors chemistry major. She’s responsible and studious, but is having a little trouble adjusting to college life. She (tiny spoiler) doesn’t read much outside of school. I know, hard to understand, right? “Oh, the staff is really helpful, huh?” Jasmine laughs, totally on to me. “Glasses? Lord, cute boys in glasses are my kryptonite.” Jasmine sighs. Excuse me, I need to go to a bookstore to find a cute guy with glasses. BRB… Just kidding. I really like Hannah. She’s open and honest, which makes her seem naive, but she’s not. Her maturity comes in handy when Ben behaves like a clueless man. (Nobody’s perfect, after all, even Bookstore Boy.) She handles it better than most of us would have at 18, or any age. The words just hang there, and I can’t take them back. I can’t believe I even said them. To Ben, of all people, who I barely know. I bite my lip and close my eyes, fighting a lump in my chest that aches with every breath. “Are you having some sort of existential crisis while reading Owen Meany, Hannah?” Ben asks with a laugh. Thank God he laughs. If he didn’t laugh, I’d probably start crying. I loved the story, how Ben and Hannah figure out how to make decisions about their own lives while falling in love. Will they be able to make it all work and be together? I’m not telling. Once Amanda let us know she was writing Bookstore Boy’s story, I practically internet stalked, annoyed, and borderline harassed her every time she mentioned it. (I did try to restrain myself.) Now, it’s finally here! He’s finally here! Bookstore Boy! Go get him! 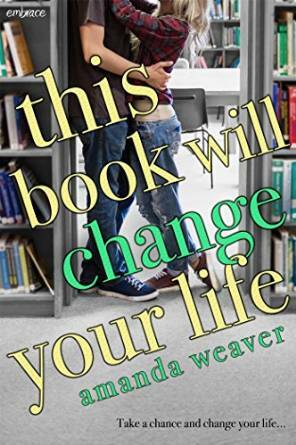 This entry was posted in ARC, Book Recommendation, Books For Review, Smart is Hot and tagged Adult Romance, Amanda Weaver, Book Release, favorite authors.